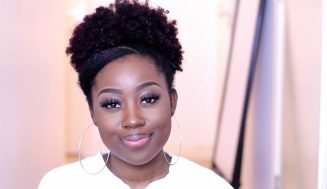 Whitney from Naptural85 got an interesting topic for us. I thing it’s interesting as well, hence why I’ve posted the video. 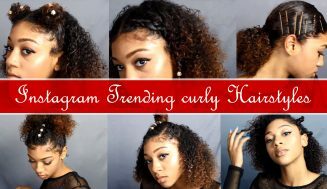 This post is about; why natural hair is so expensive? That’s a question that’s being ask often on social media, so in this video, she decides to address it. Her advice is sound. I like that she turns it around and make it more about a learning experience and products preference. I also like her perspective on product usage. 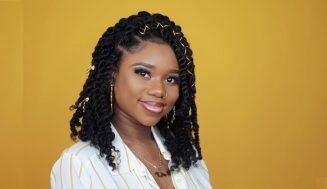 For most naturals, when they are in the transitioning phase the predominant question in their mind is ‘what products should I used?’ It’s a valid question, but it surmises that something’s wrong with the products they’re already using. 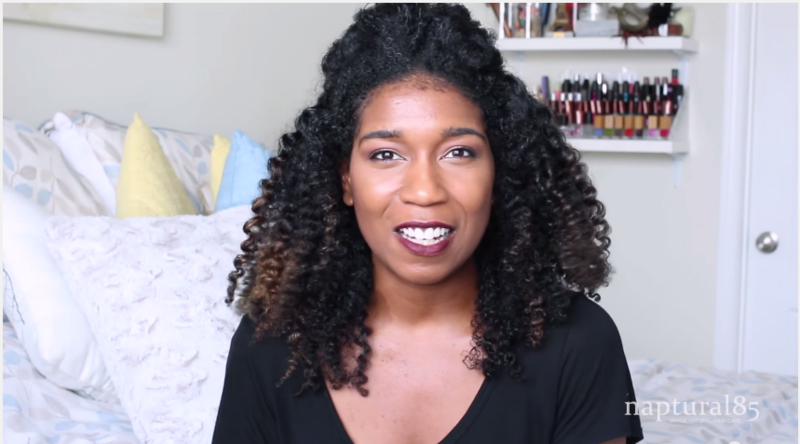 I like the point she made on using technique and apply patience to learn to style our hair, instead of relying solely on products. 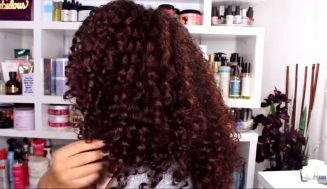 This allows us to learn about our hair texture and be able to style it with minimal product flawlessly. Btw, it doesn’t cost anything to apply great techniques. That’s something we can learn by watching videos with skill Naturalistas on best methods that we can apply. It’s best to learn how to manage our expenses by not constantly going for the most expensive products. If the Argan oil is too costly right now then go with the coconut oil. When doing diy oil recipe don’t be wedded to specific products or a specific way of doing it. It’s all right to substitute other inexpensive products for ones that you might not be able to afford now. 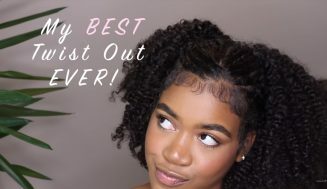 As she summarized in the video, it’s not that natural hair is expensive, it’s just that we need to learn the proper methods to style and get to know our hair texture first, then we can dive deeper into product usage. 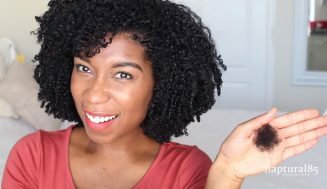 This will make it so that we don’t rely on only products to style our natural curls. I would suggest you watch the video above if you haven’t. Have you found your method? If so let us know in the comment section. Blah…she is just trying to reinvent herself. I have 4 oils and 1 conditioner with 1 leave in that I have used for 1 year. I use natural products that cost very little. My conditioner is made from boiling a natural product my oils come from the grocery store (all natural) and flax seed gel is my leave in with a strip of aloe leaf. Pennies per year. That’s great Jalandita. As for me, I buy products that I need and when I need it. 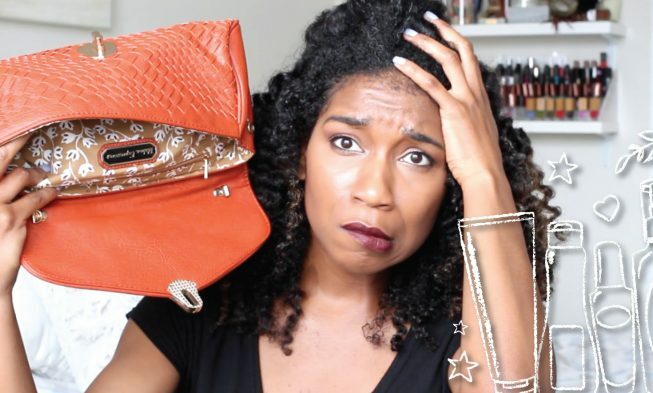 I keep my finances in mind when purchase hair products so that I don’t end up spending too much and going into debt. You have to be smart about it and it sounds like you got it down.